Details on Pokémon Ultra Sun & Ultra Moon have been largely quiet since the Pokemon Nintendo Direct took place a month ago. However, it looks like the silence is not far from being broken. This is due to an upcoming CoroCoro issue, which is should show up in about a week from now. 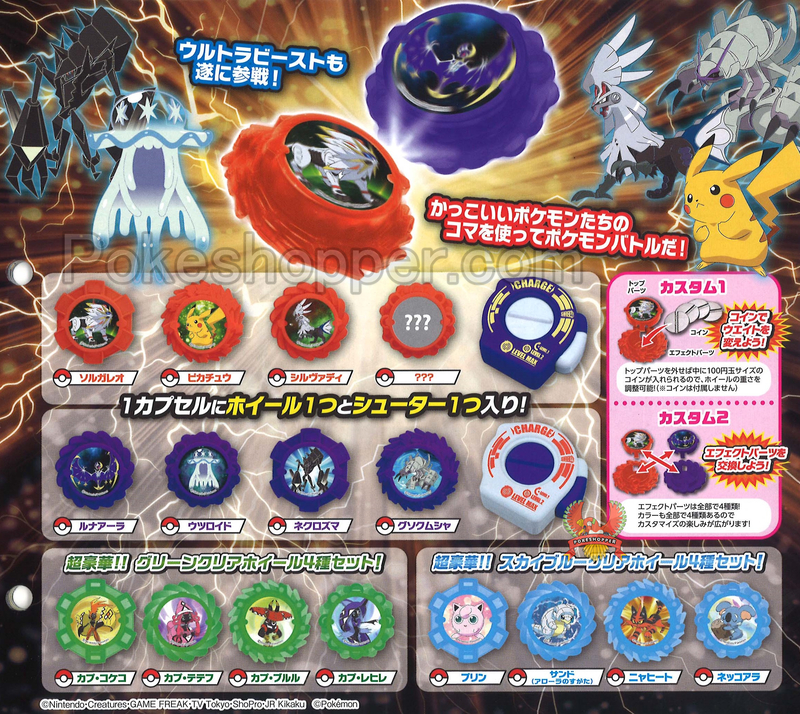 Apparently, an Ultra Beast line of “Takara Tomy A.R.T.S battle products” includes an unknown Pokemon that can be seen next to Silvally. PokeShopper speculates that “every other significant Pokémon in Sun and Moon have already appeared in lines”, and they also note that this isn’t the first time CoroCoro was used for Pokemon reveals. Magearna had a similar reveal, so this could be a brand new Pokemon. Whatever this mystery Pokemon is, we’ll let you know when it is unveiled. With Switch coming next year, is it possible it may be a gen 8 Pokemon and not necessarily a USUM pokemon? I’m still demanding a Pokemon diamond and pearl remake for next year. Nice counterargument there. Hoenn had stuff like Munchlax years before we had Sinnoh. Whatever this new unknown Pokemon is, i’m sure it will be very surprising for the series. With the switch version coming next year, i hope it will be a diamond and pearl remake that i’m still demanding. Is it certain that they’re not just adding an established Pokémon to that specific game? If so, since it’s just a single one and not two of them, it’s probably not one of the alternative forms of Lunala or Solgaleo. That’s pretty interesting. While that is a valid point, I find it curious they would have only one “?” instead of two if that were the case. Basically, it depends on the game. Pokémon Switch featuring every region and 1000 different Pokémon! That’s not how this works, this is a common practice with the Pokémon Merchandise. They often hide one or more of the more rare ones for the blind-packaged toys so that you have to buy them to find out who it is. They wouldn’t reveal a new pokémon on a random blind-packaged toy in Japan.